Sea anemones are a group of marine, predatory animals of the order Actiniaria. They are named after the anemone, a terrestrial flowering plant, because of the colourful appearance of many. 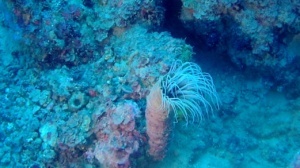 Sea anemones are classified in the phylum Cnidaria, class Anthozoa, subclass Hexacorallia. As cnidarians, sea anemones are related to corals, jellyfish, tube-dwelling anemones, and Hydra. 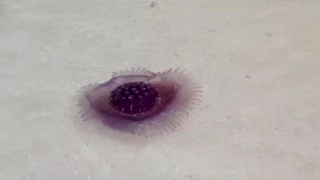 Unlike jellyfish, sea anemones do not have a medusa stage in their life cycle. 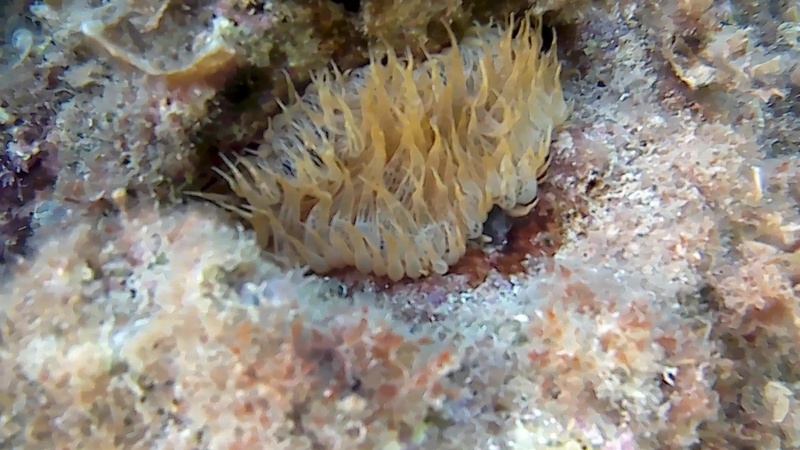 A typical sea anemone is a single polyp attached to a hard surface by its base, but some species live in soft sediment and a few float near the surface of the water. 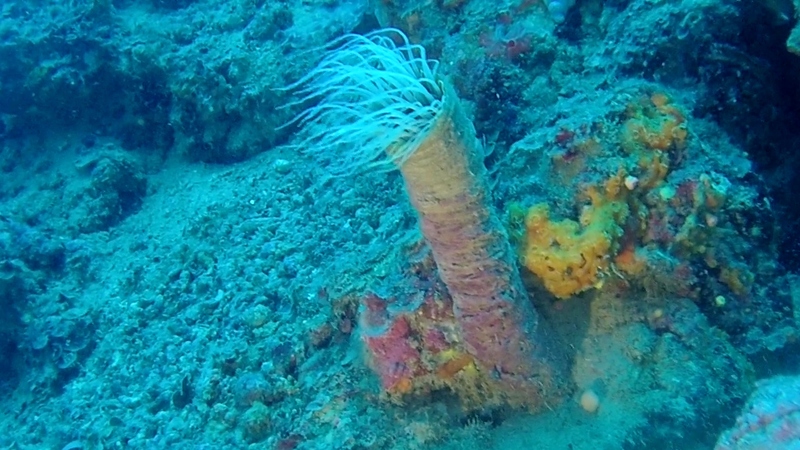 The polyp has a columnar trunk topped by an oral disc with a ring of tentacles and a central mouth. 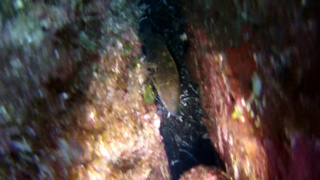 The tentacles can be retracted inside the body cavity or expanded to catch passing prey. They are armed with cnidocytes (stinging cells). In many species, additional nourishment comes from a symbiotic relationship with single-celled dinoflagellates, zooxanthellae or with green algae, zoochlorellae, that live within the cells. 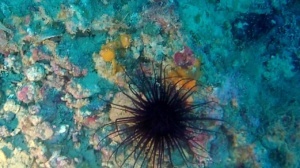 Some species of sea anemone live in association with hermit crabs, small fish or other animals to their mutual benefit. 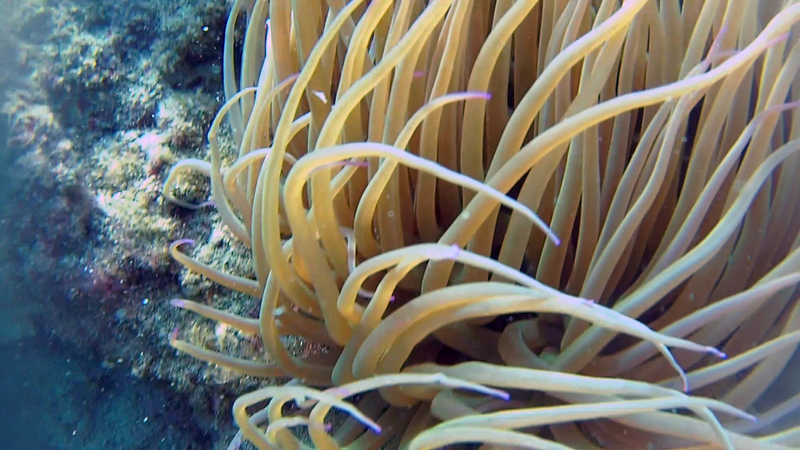 Sea anemones breed by liberating sperm and eggs through the mouth into the sea. 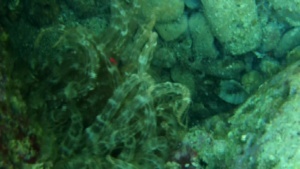 The resulting fertilized eggs develop into planula larvae which, after being planktonic for a while, settle on the seabed and develop directly into juvenile polyps. 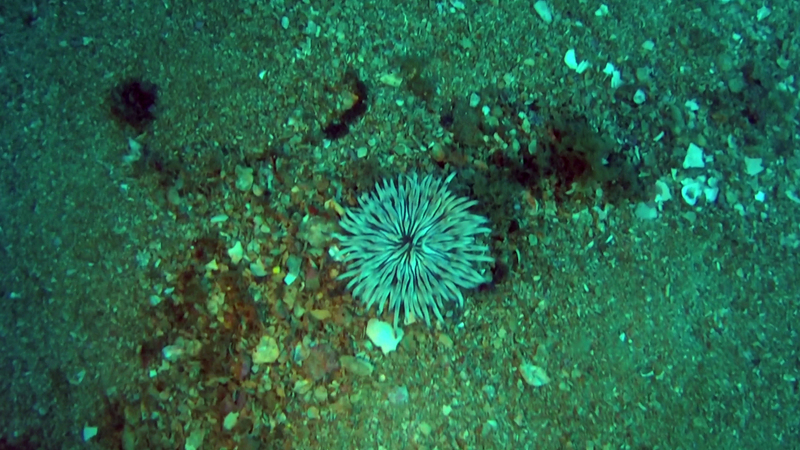 Sea anemones also breed asexually, by breaking in half or into smaller pieces which regenerate into polyps. Sea anemones are sometimes kept in reef aquariums; the global trade in marine ornamentals for this purpose is expanding and threatens sea anemone populations in some localities, as the trade depends on collection from the wild. The body, roughly cylindrical, has a very simple structure: it consists in fact of an external epithelial layer, called ectoderm or epidermis, and of an internal one, called endoderm or gastroderma. At the upper end of the body is the oral disk, flat and symmetrical. The mouth is surrounded by one or two crowns of tentacles, tapered, provided with nematocysts. The body rests on a pedal disk, which allows slow movements by creep. 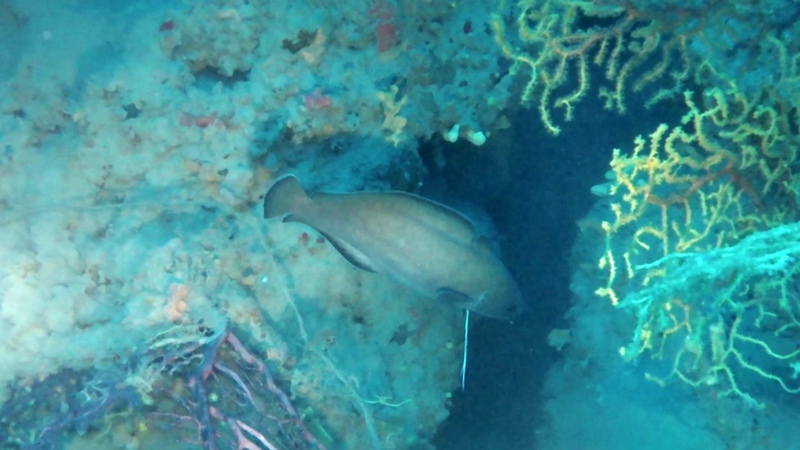 They are mostly benthic animals; there are also some pelagic species, equipped with a chamber inside the pedal disk that allows them to move vertically in the water. 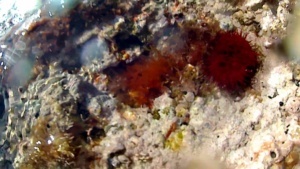 They feed on invertebrates and small fish that they capture with tentacles with nematocysts. Reproduction is both sexed by eggs and asexual by splitting. 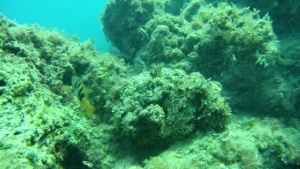 The actinites frequently contract mutualism or commensalism with other animal organisms such as fish (typical example the clown fishes of the subfamily Amphiprioninae), crustaceans (eg the porcelain crab) or shrimps (eg the shrimps of the Palaemonidae family) . 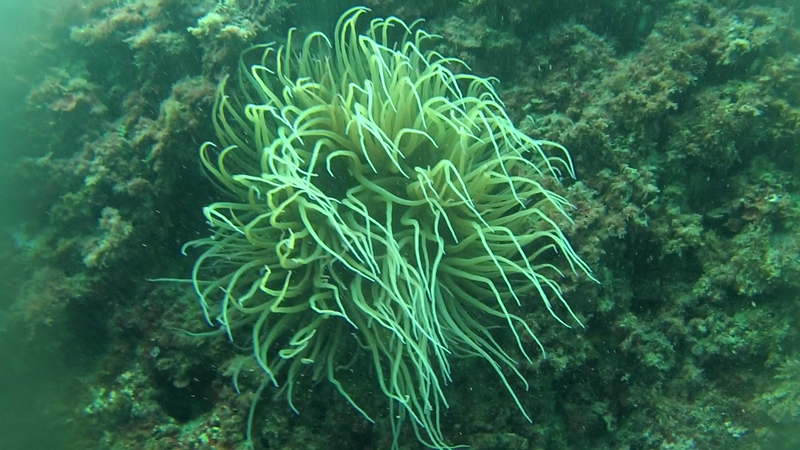 All these organisms, immune to the stinging stings of the nematocysts, find hospitality and protection among the tentacles of the actinias and, at least in some cases, reciprocate the hospitality by cleaning the anemone from organic debris and parasites.